This is an annual event held the third weekend of October featuring crafts, art, music, food, fun and games. 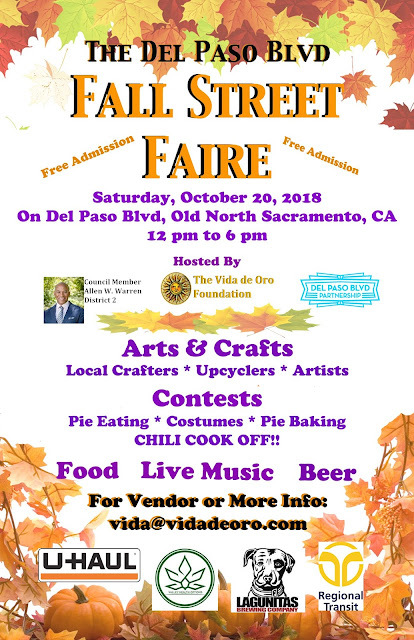 Admission is free and hosted by Council Member Allen Warren, the Del Paso Boulevard Partnership, and the Vida de Oro Foundation. 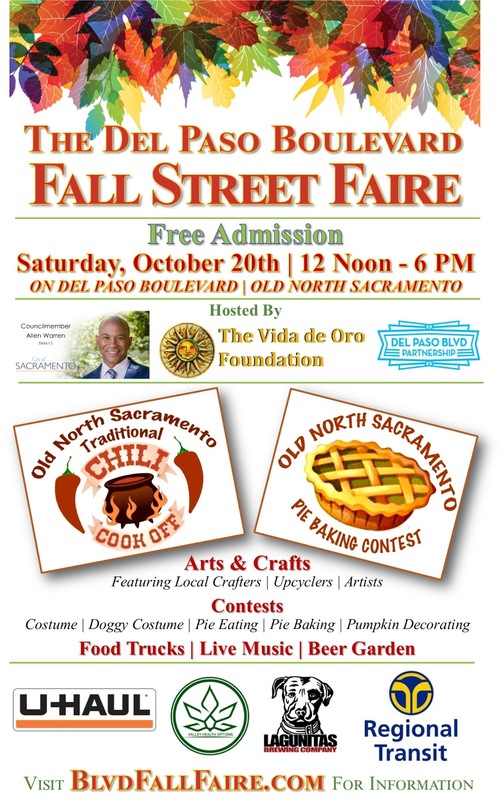 THERE IS STILL TIME TO GET INTO THE CHILI COOK-OFF AND PIE EATING CONTESTS!! You could win CASH prizes. 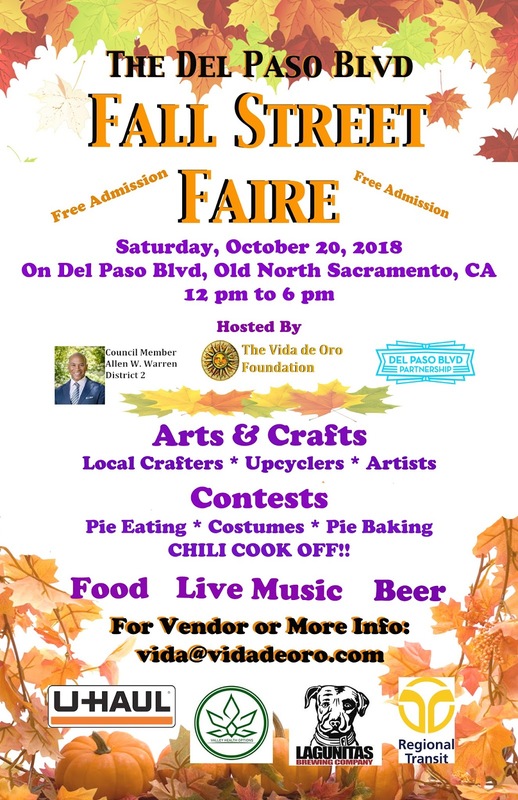 IT'S A FREE ADMISSION EVENT! 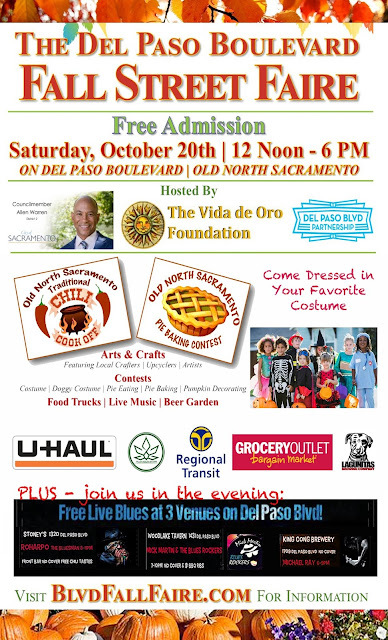 Join us for some pies, chili, music, and holiday crafts...plus come in a costume and you could win prizes.